(3) the cargo has to be subsequently transported through the cell and the vesicle must fuse with the correct cellular compartment. Members of the Amphiphysin protein family are key regulators in the early steps of endocytosis, involved in the formation of clathrin-coated vesicles by promoting the assembly of a protein complex at the plasma membrane and directly assist in the induction of the high curvature of the membrane at the neck of the vesicle. 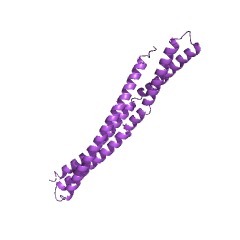 Amphiphysins contain a characteristic domain, known as the BAR (Bin-Amphiphysin-Rvs)-domain, which is required for their in vivo function and their ability to tubulate membranes [(PUBMED:14993925)]. 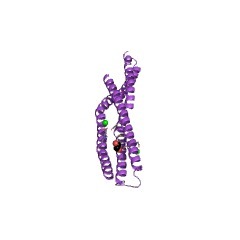 The crystal structure of these proteins suggest the domain forms a crescent-shaped dimer of a three-helix coiled coil with a characteristic set of conserved hydrophobic, aromatic and hydrophilic amino acids. Proteins containing this domain have been shown to homodimerise, heterodimerise or, in a few cases, interact with small GTPases. 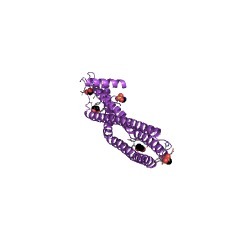 There are 9786 BAR domains in 9779 proteins in SMART's nrdb database. Taxonomic distribution of proteins containing BAR domain. This tree includes only several representative species. The complete taxonomic breakdown of all proteins with BAR domain is also avaliable. Click on the protein counts, or double click on taxonomic names to display all proteins containing BAR domain in the selected taxonomic class. 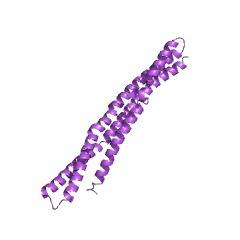 BAR family proteins are a unique class of adaptor proteins characterized by a common N-terminal fold of undetermined function termed the BAR domain. 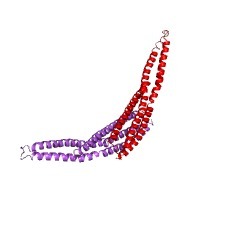 This set of adaptors, which includes the mammalian proteins amphiphysin and Bin1 and the yeast proteins Rvs167p and Rvs161p, has been implicated in diverse cellular processes, including synaptic vesicle endocytosis, actin regulation, differentiation, cell survival, and tumorigenesis. 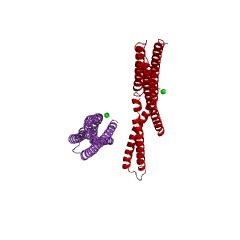 Here we report the identification and characterization of Bin2, a novel protein that contains a BAR domain but that is otherwise structurally dissimilar to other members of the BAR adaptor family. 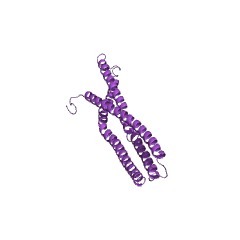 The Bin2 gene is located at chromosome 4q22.1 and is expressed predominantly in hematopoietic cells. Bin2 is upregulated during differentiation of granulocytes, suggesting that it functions in that lineage. 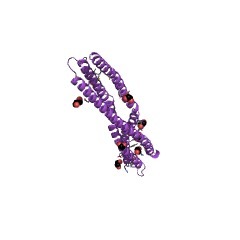 Bin2 formed a stable complex in cells with Bin1, but not with amphiphysin, in a BAR domain-dependent manner. This finding indicates that BAR domains have specific preferences for interaction. However, Bin2 did not influence endocytosis in the same manner as brain-specific splice isoforms of Bin1, nor did it exhibit the tumor suppressor properties inherent to ubiquitous splice isoforms of Bin1. Thus, Bin2 appears to encode a nonredundant function in the BAR adaptor gene family. In this report, we have shown that the yeast amphiphysin-like protein Rvs167p was localized mainly in small cortical patches throughout the cell in unbudding cells. During budding, the patches were polarized at bud emergence site. During mating, Rvs167p was concentrated at the tip of the shmoo. Rvs167p colocalized with actin patches during yeast vegetative growth and mating. Complete disruption of the actin cytoskeleton using Latrunculin-A did not affect Rvs167p localization in patches throughout the cell. In rvs167 mutant cells, actin patches are mislocalized and in rvs161 or abp1 mutant cells, Rvs167p localization is not affected. 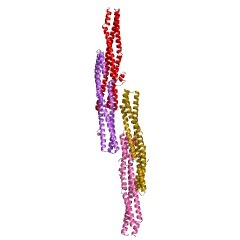 These observations suggest that Rvs167p may localize the actin cortical complex properly. 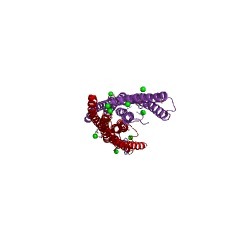 Finally, the amphiphysin-conserved N-terminal domain of Rvs167p, called the BAR domain, was required but not sufficient for the correct localization of the protein. This information is based on mapping of SMART genomic protein database to KEGG orthologous groups. Percentage points are related to the number of proteins with BAR domain which could be assigned to a KEGG orthologous group, and not all proteins containing BAR domain. Please note that proteins can be included in multiple pathways, ie. the numbers above will not always add up to 100%. 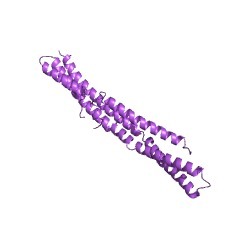 4atm Crystal structure of the BAR domain of human Amphiphysin, isoform 1 at 1.8 Angstrom resolution featuring increased order at the N- terminus. 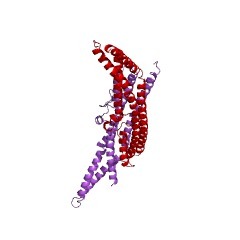 4avm Crystal structure of the N-BAR domain of human bridging integrator 2.